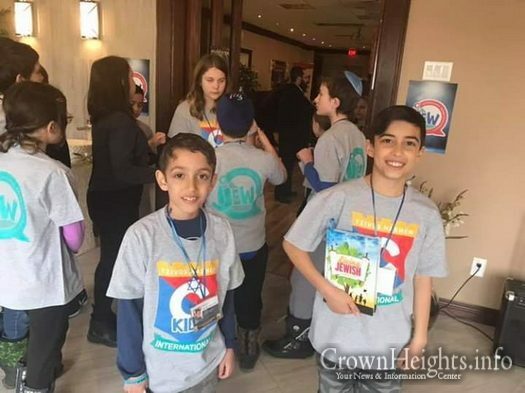 Over 1,000 students from more than 75 Hebrew Schools around the world showed off their Jewish knowledge last week at the JewQ School Championships. 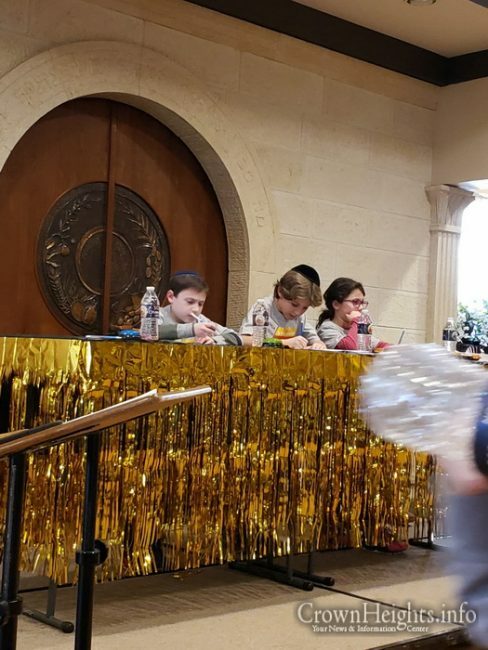 At different locations across the globe, Jewish boys and girls participated in the live game show style competition in an effort to be crowned the JewQ champions of their respective Hebrew School. 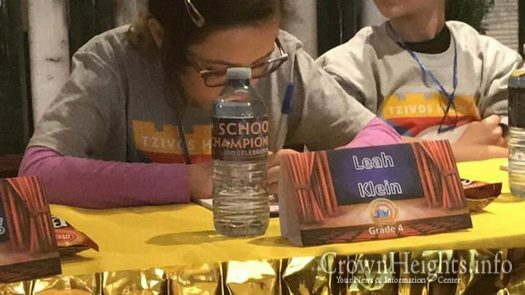 The School Championships followed twelve weeks of in-class and at-home preparation of Jewish general knowledge, using the Living Jewish book that was written and designed specially for the competition. 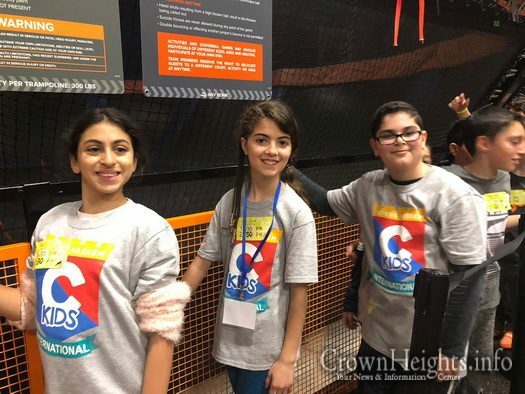 Hebrew School students completed several tests during this time and had to maintain a 70% average score to qualify for the School Championships. 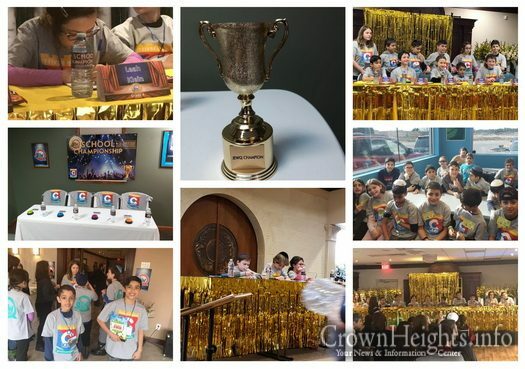 The winners of the championships have been invited to a grand CKids Shabbaton in New York City which will be held from February 28-March 3 (Adar I 23-26). 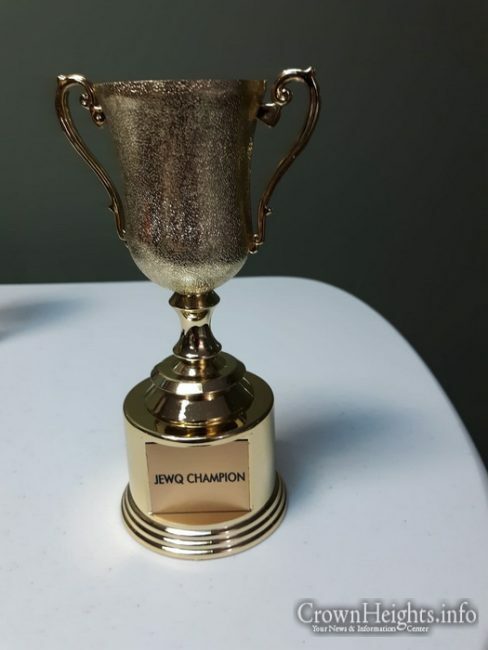 Apart from being treated to an action-packed weekend of trips and Shabbat meals, the school champions will face off at the International Championship, where the ultimate winner of JewQ will be decided. 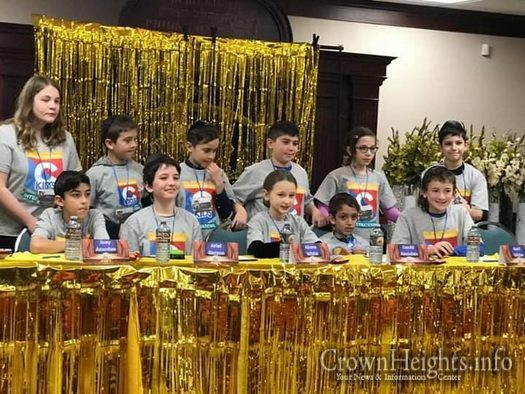 The JewQ School Championships were held at respective Hebrew Schools as far east as Cary, North Carolina, and as north as Niagra Falls, ON. 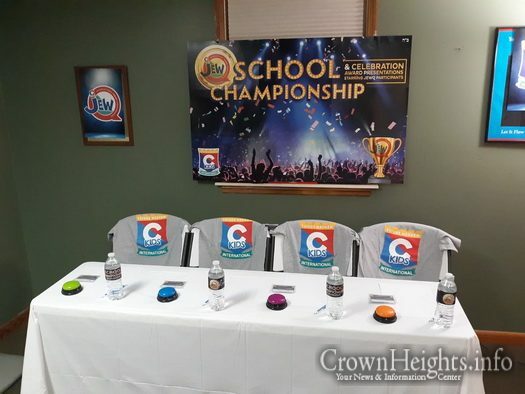 However, in areas where many schools were located in clusters, regional competitions were held. 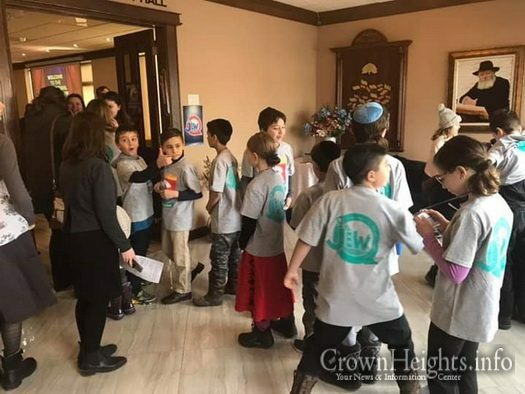 One such location was the Chai Center in Dix Hills, Long Island. 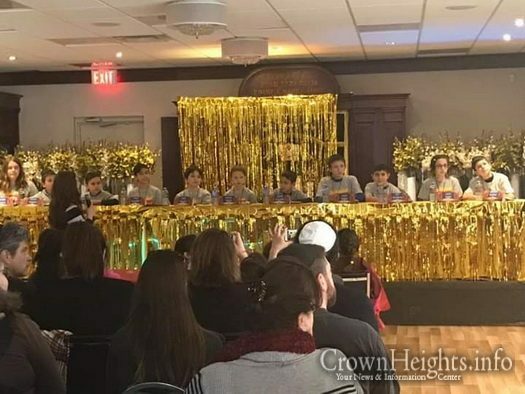 Thirteen Hebrew Schools pooled together to host the competition, which saw media coverage from the FiOS news channel in the Long Island area. 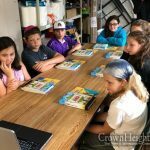 “In today’s day and age, it’s all about that hands-on learning — making things exciting,” commented Rabbi Dovid Weinbaum of the Chai Center Hebrew School. 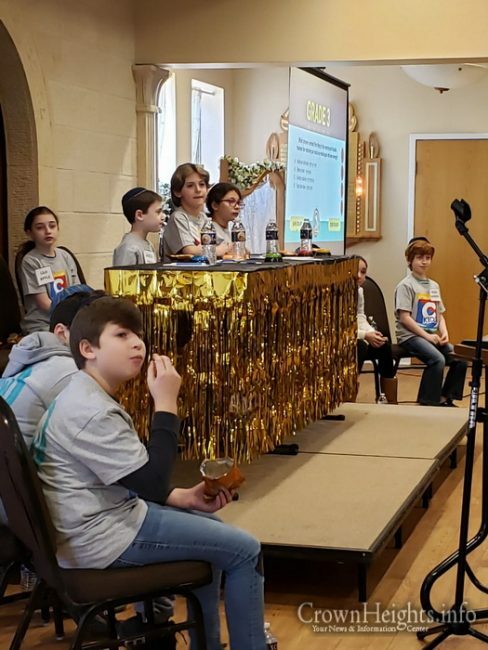 The Long Island competition lived up to this notion with a spectacular setup, complete with buzzers and projector screens. 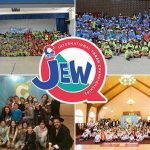 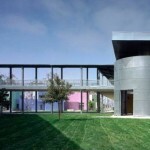 JewQ is created by CKids — a branch of Merkos 302 — with the aim of educating Hebrew School students about the fundamentals of Judaism, such as basic prayers, blessings, and Jewish holidays.